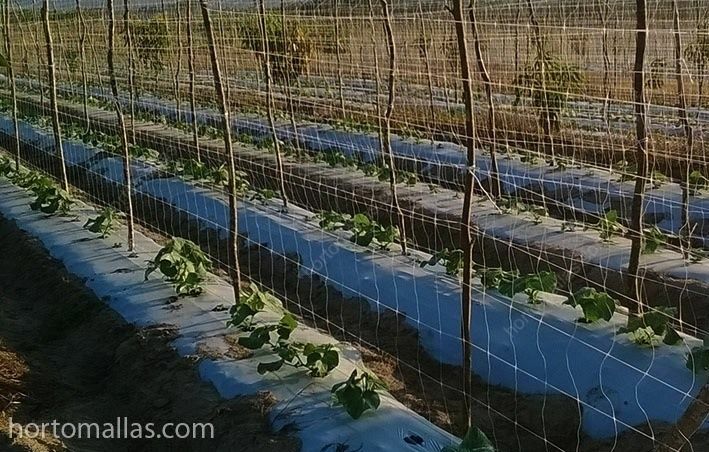 It is necessary to use cucumber trellis in order to prevent diseases such as mosaic virus, since this disease, as well as many others, is transmitted by physical contact when workers handle a diseased plant, or from the external environment, to the other healthy plants creating an exponential chain reaction. 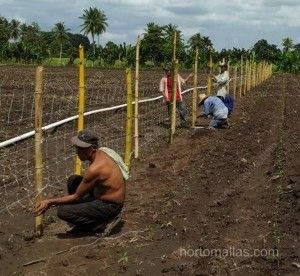 It is essential to reduce the number of contacts and interactions that workers have with the plants and where this reduction is possible is during the phase of tying up and training the plant to trellising made with twine. 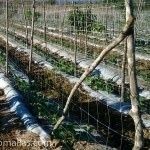 HORTOMALLAS cucumber trellis offers big advantages over trellising with twine. 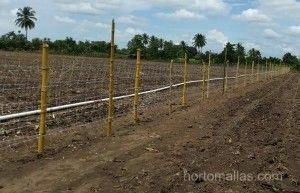 This labor intensive method of training and supporting the crop is now being replaced by agricultural netting since the cucumber can by itself find a point of support among the squares of this HORTOMALLAS product. 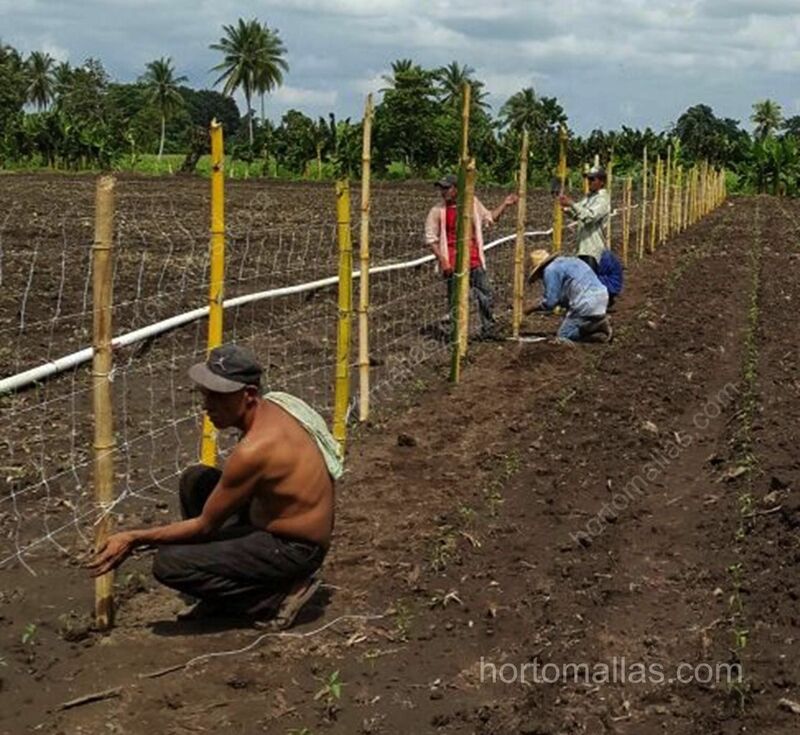 Furthermore, unlike twine, HORTOMALLAS can be used for various crop cycles and for implementing a crop rotation in order to get more out of the initial investment in infrastructure (netting, posts, irrigation, ground cover). 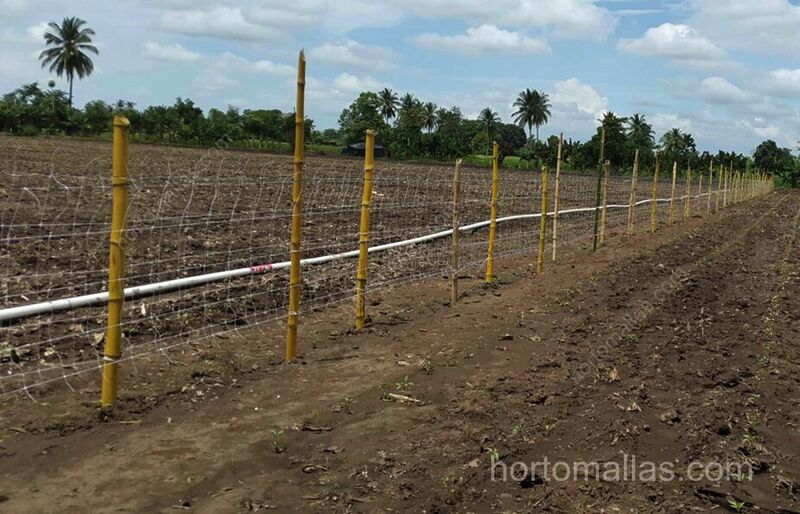 Being able to amortize the initial investment over a greater number of crop cycles, allows the grower to maximize his returns. By taking advantage of the nature of cucumber tendrils (which like all cucurbitaceae has the natural tendency to fasten itself to a fixed point of support, which would be the HORTOMALLAS cucumber trellis in this case), the horticulturalist saves a considerable amount of labor by not needing to do cucumber training to the trellis by hand. These savings not only represents an economical advantage by reducing labor cost, but also by reducing the number of times the plant needs to be handled by hand, and the rate of transmission of plant pathogens by physical contact is also reduced. This is because workers hands become vectors of transmission just like any whitefly or thrips. 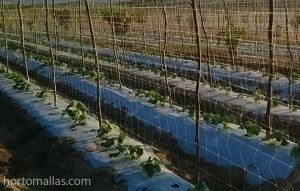 HORTOMALLAS cucumber trellis made with agricultural netting for a commercial crop of cucumbers.